For years and years I struggled just to love my life. And then the butterfly rose, weightless, in the wind. “Don’t love your life too much,” it said, and vanished into the world. 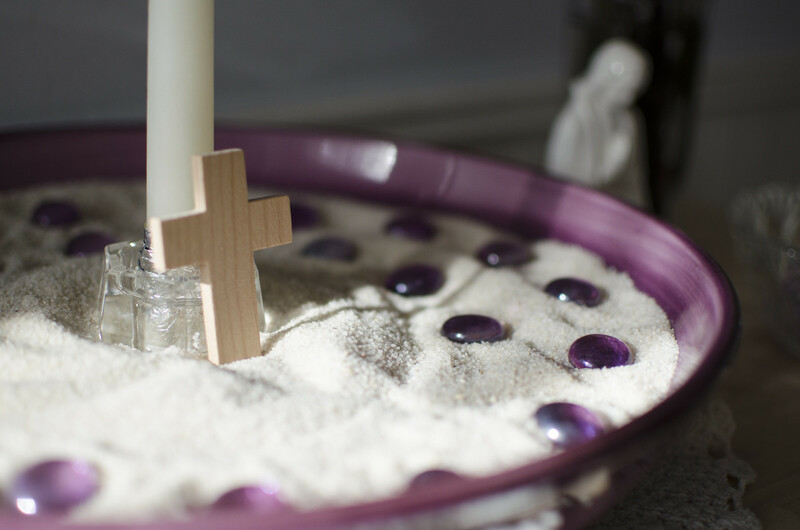 Lent—that penitential season of the Church year that precedes Easter—has arrived once again, and I thought it might be nice to offer some ideas for observing this special time with children. 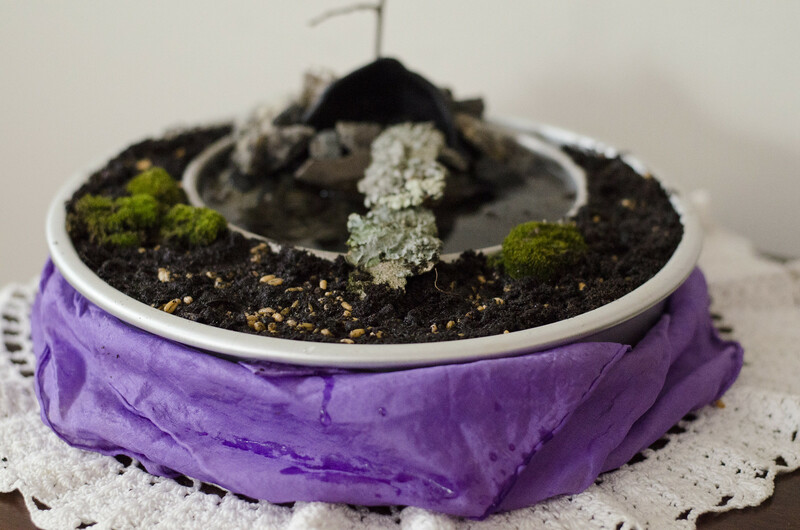 Below you’ll find two crafts focused on the concept of metamorphosis, which I feel works really well as a metaphor for the Easter story, that is, the death and resurrection of Jesus Christ. It also serves to illustrate the central tenet of our faith: Like the mystery of the transformation of a caterpillar into a butterfly, the mystery of Jesus’s death and resurrection makes it possible for all of us to be transformed into something magnificent and beautiful, too. I first saw this idea on the Homely Hours blog and knew immediately that I needed to bring this tradition into my own home. 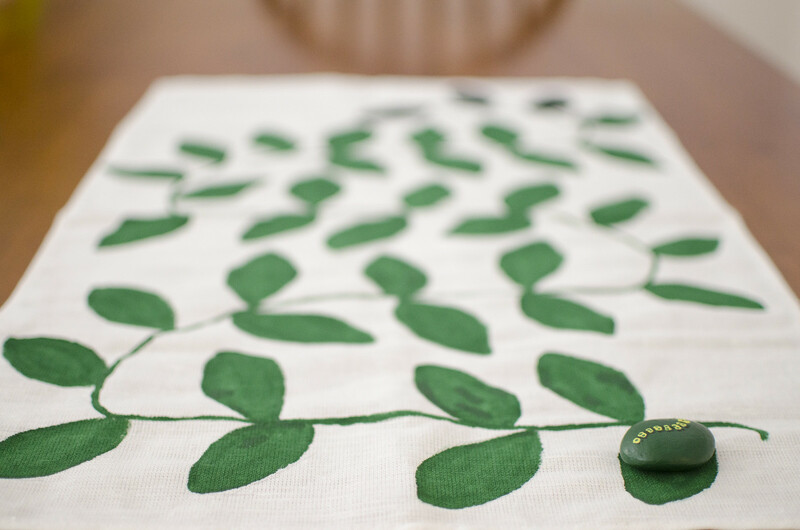 This craft is really simple—perhaps the most difficult part is finding the supplies, but I think (as is the case with so many liturgically-themed crafts) it’s best not to get too hung up on perfection. 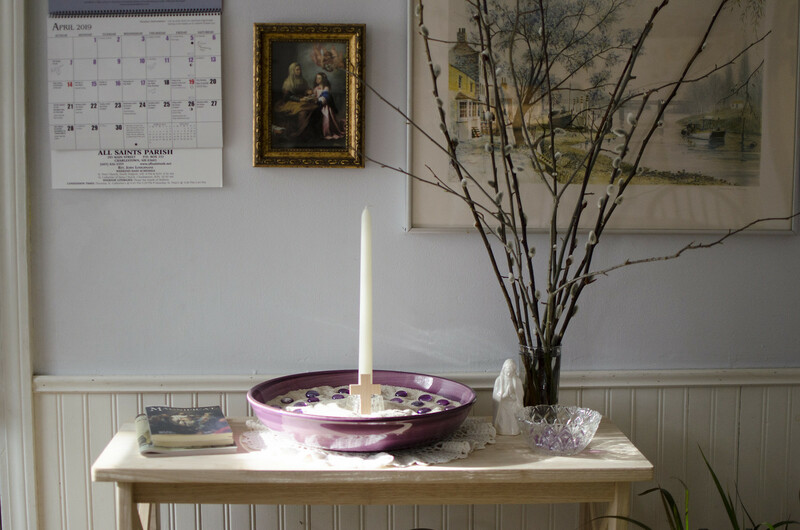 Each day during Lent add one purple glass stone to the spiral, working from the outside in, the last day being Holy Thursday. The cross in the center marks Good Friday. 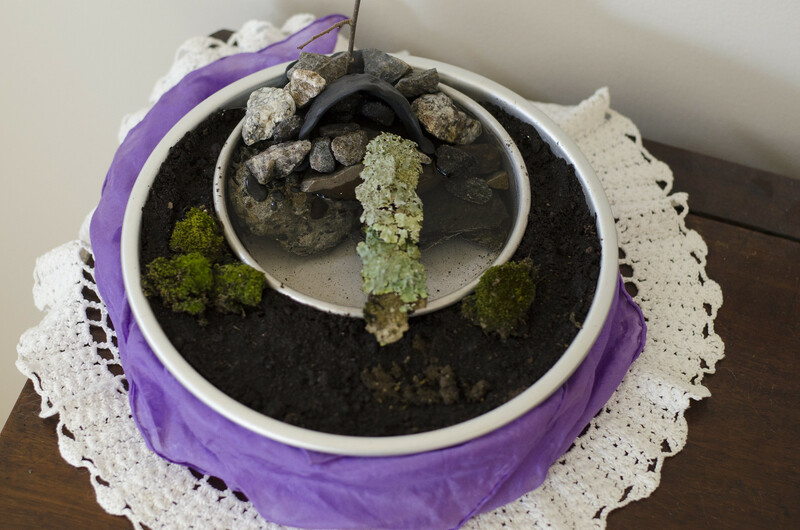 What I like about this craft is that it is easy, and little ones will look forward to adding the stone each day. It helps to illustrate the journey very beautifully, and mirrors the Advent spiral. 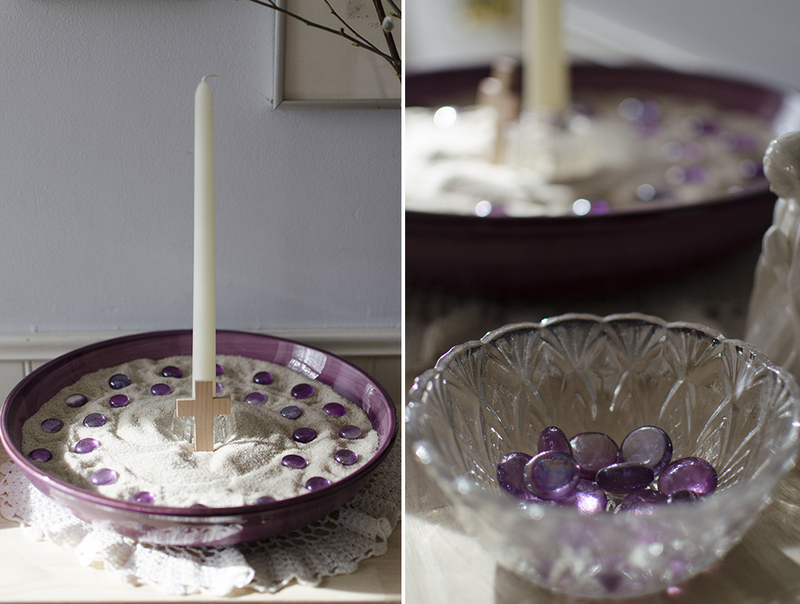 A note on supplies: I found this large serving bowl on eBay and it turned out to be exactly the right size and color (reddish-purple for Lent vs blueish-purple for Advent). (The pattern is Hausenware Twist in Wineberry, in case anyone is interested). 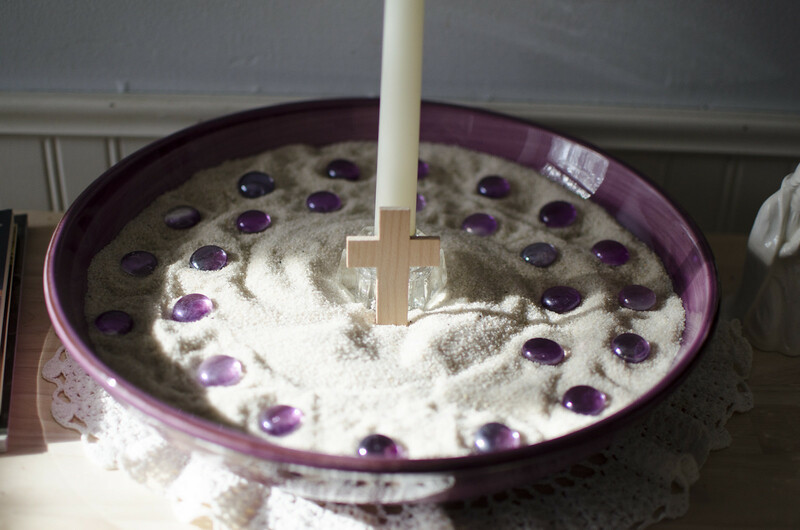 The sand came from my local pet supply store, and the purple glass stones came from Michael’s, as did the little wooden cross in the center. 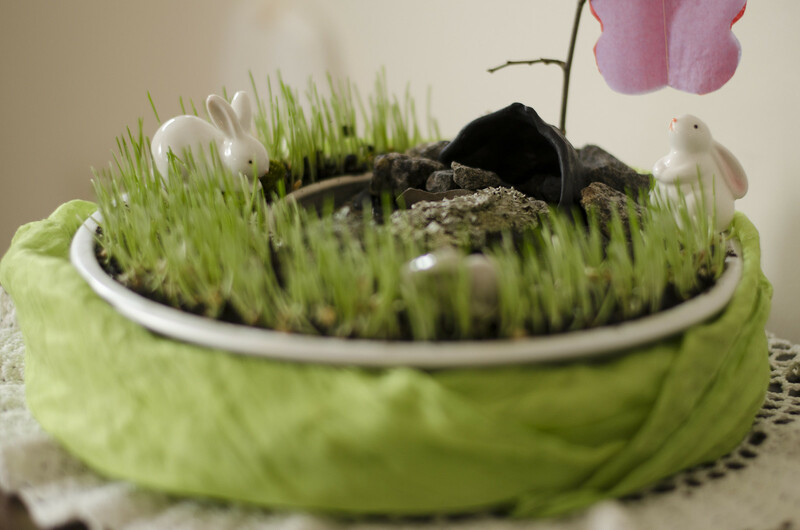 Creating an Easter garden with children is a wonderful way to experience the miracle of the Resurrection. 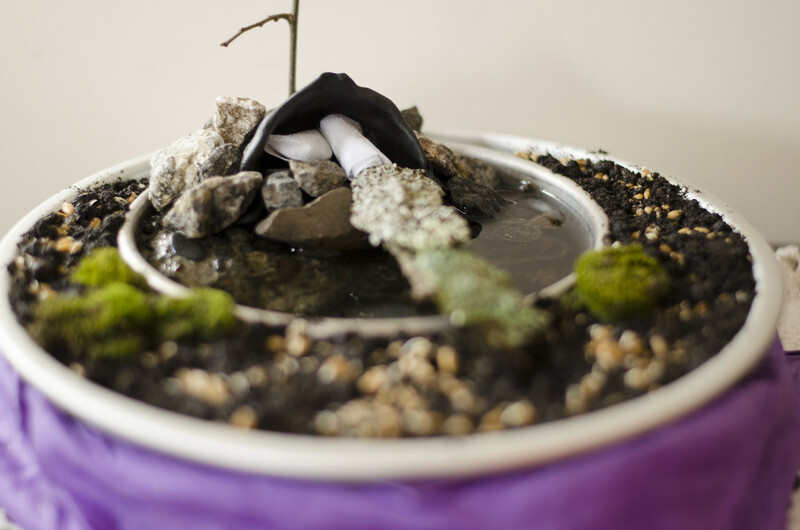 At the beginning of Lent, or anytime before Holy Week, fill a shallow planting dish with garden soil, then add rocks, a twig for a “tree,” and a small clay cave to the scene. 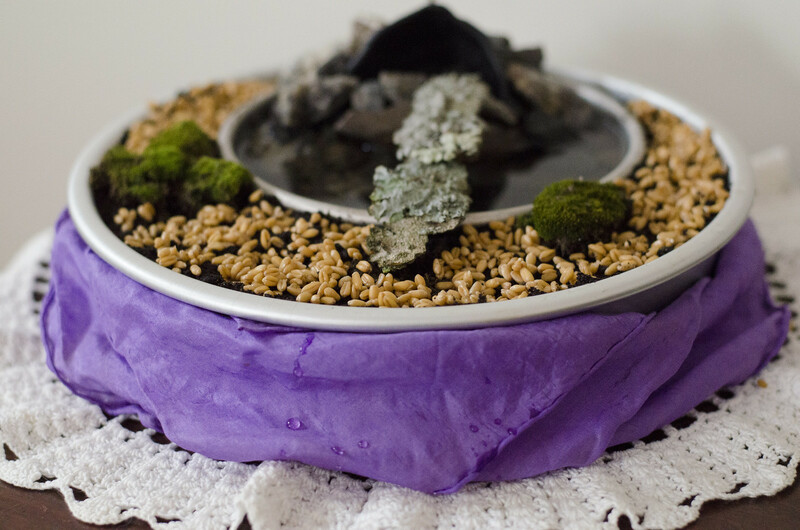 On Maundy Thursday, sprinkle some wheatgrass seeds on the soil, cover with another layer of soil, and water generously (keep moist by watering daily). 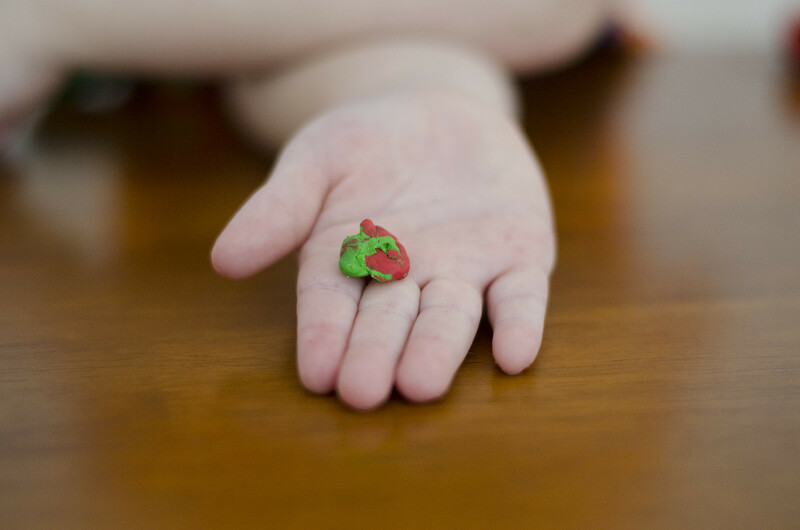 On Good Friday have children make a caterpillar from clay, wrap it in gauze, and place it in the cave. On Easter morning, parents can replace the caterpillar with a beautiful tissue paper butterfly. 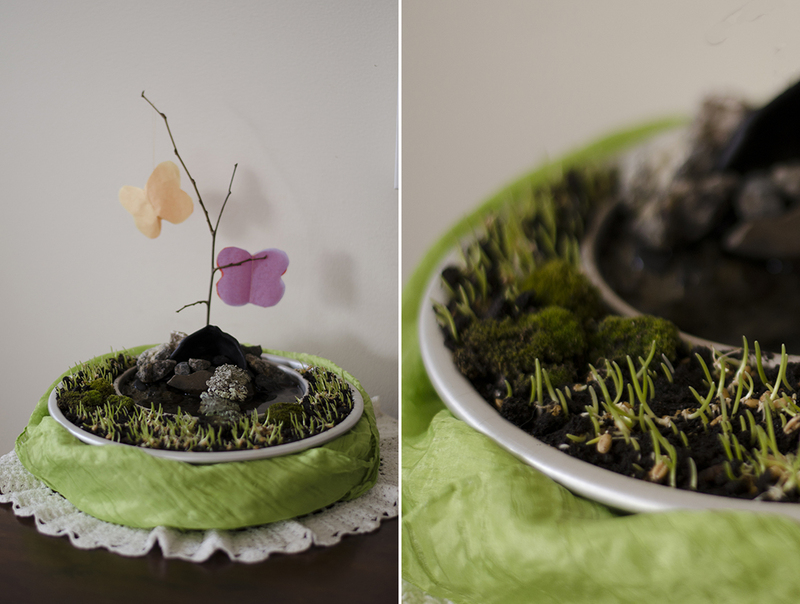 The wheatgrass seeds should pop up right on time—the dead and empty garden will burst into life overnight. 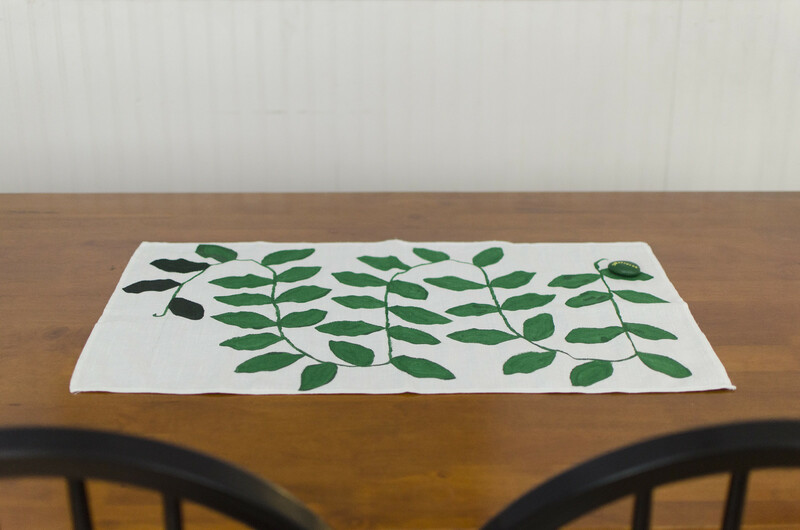 To construct this table runner, you will need a piece of thick, white fabric (I used a small linen table runner I bought at a discount store), a few colors of green plus some black acrylic paint, a paintbrush, and a smooth, flat rock of some kind. Paint a green vine with green leaves, sweeping back and forth from side to side, with one leaf for each of the forty days of Lent. 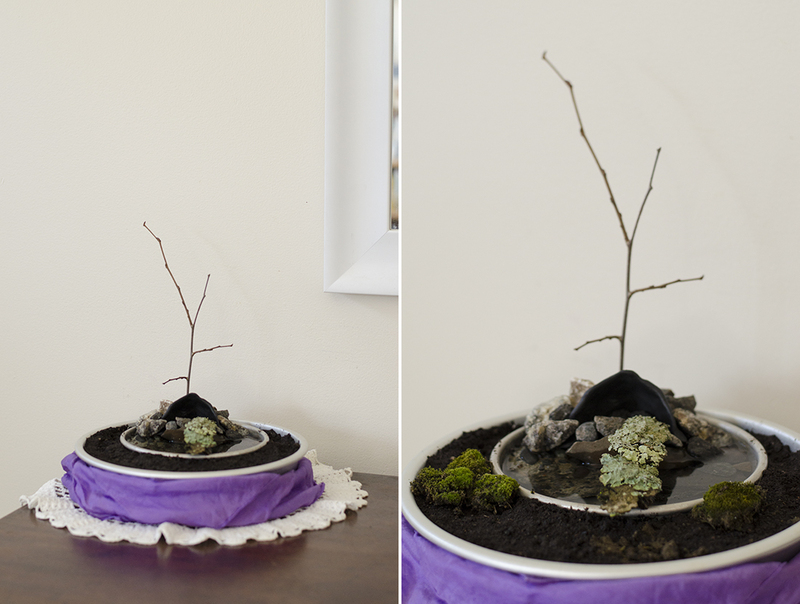 The last three leaves are painted black, to represent Maundy Thursday, Good Friday, and Holy Saturday. 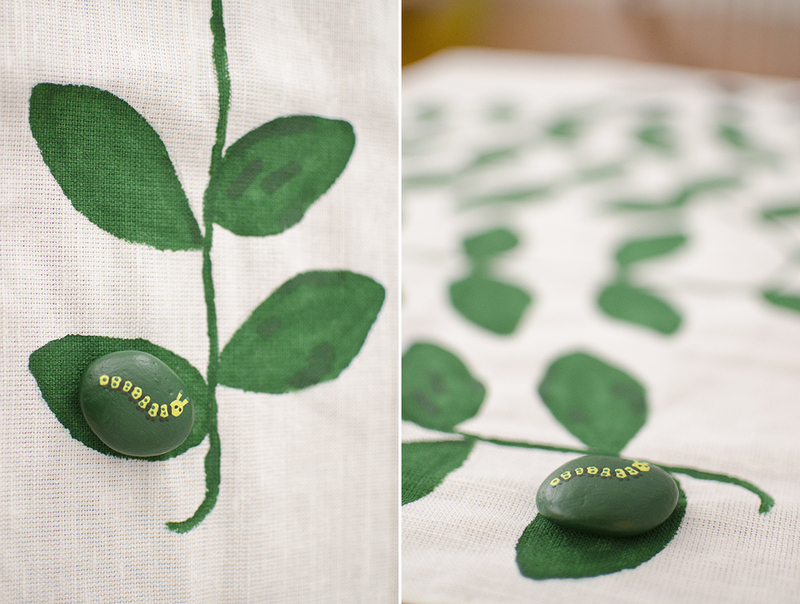 The rock is painted the same color as the green leaves on just one side, and once that first layer is dry, a caterpillar is painted on top of the green background. If you’re not artistically inclined, you can just use a sticker. The other side of the rock will remain unpainted. 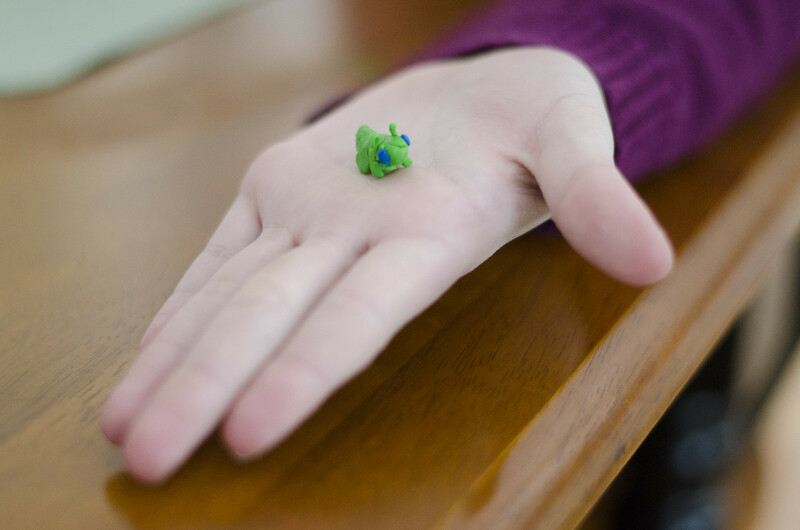 Throughout Lent the caterpillar will travel to a new leaf each day. On Maundy Thursday, the rock will be turned over to the dark, unpainted side and will remain that way as it moves through the next two days. On Easter Sunday, parents can remove the rock and leave in its place a beautiful butterfly. This could be a picture of a butterfly, a paper cutout, or even some sort of decorative object (available at most craft stores).